Princess Eugenie and her new husband Jack Brooksbank begin their first day as a married couple after tying the knot during a lavish royal wedding ceremony. The pair sealed their union with two shy kisses on the West Steps of St George’s Chapel on Friday, before celebrating at an afternoon reception in Windsor Castle and an evening do at the York family home Royal Lodge in Windsor Great Park. Images of the newlyweds grace the front of almost every national newspaper on Saturday, with the Queen’s granddaughter proudly showing off the scar of the scoliosis surgery she underwent at the age of 12. But after a day in which the eyes of a nation were upon them, the couple will now be able to continue celebrating their marriage away from the public gaze, with the festivities expected to continue on Saturday. Eugenie, who is ninth in line to the throne, and tequila brand ambassador Jack said their vows in front of a star-studded congregation of 800 people. 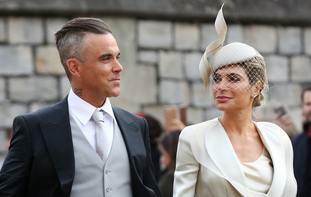 Celebrities included Hollywood actresses Liv Tyler and Demi Moore, supermodels Kate Moss and Naomi Campbell, singers Ricky Martin, Ellie Goulding and James Blunt, actor Stephen Fry, and artist Tracey Emin, as well as pop star Robbie Williams and his wife Ayda Field. Eugenie’s sophisticated dress, which featured wide fold-over shoulders, a low back and full-flowing train, was by Peter Pilotto and Christopher De Vos, while she proudly wore the Greville Emerald Kokoshnik Tiara loaned to her by her grandmother. After the ceremony, the happy couple waved to well-wishers during a carriage procession through Windsor, before heading to their afternoon reception hosted by the Queen. Later, Jack drove Eugenie away from Windsor Castle in style, wowing his new bride with a silver DB10 Aston Martin sports car. Meanwhile, several celebrities posted on social media following the post-wedding celebrations, with comedian Jack Whitehall joking that he had been forced to sit next to “low-rent footballer” Jamie Redknapp.